Though Alaska may be one of the most remote states in the U.S., it is the largest state according to square mileage, and has some of the most beautiful vantage points and views that cannot be seen from anywhere else in the world. It is not very populated, but to its advantage, Alaska holds many different types of tours, trips, and sights to be seen in person, not just in pictures. For people not living in Alaska, a trip to one of the gems of the United States could easily be a trip of a lifetime. Aurora light display – because of Alaska’s unique location, people in the area are able to see special views that are not able to seen from many other places. 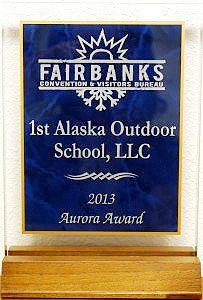 The First Alaska Outdoor School, LLC is a renowned business that opens all of Alaska’s doors to visitors and travelers. Offering a diverse array of tours to partake in or different natural wonders to watch and observe, we will help you experience an unforgettable vacation, Alaskan-style. Make reservations by simply filling out a contact form. When is the best time to visit Fairbanks, Alaska?